Come to the Austin Nature and Science Center to experience a fascinating encounter with native animals, plants and the geology of Central Texas. Explore this unique environment with lots of hands-on exhibits, interactive nature and science trails and live Texas wildlife. Explore the Austin Nature & Science Center Discovery Labs where hands-on experiences feature seven mini-science labs including mammalogy, ornithology, herpetology and geology. Come experience bats, butterflies and bones. Crawl through a Hill Country cave in the Nature of Austin exhibit. Pick up one of the Eco-Detective kits and meander down the Eco-Detective Trail and see how many indicators of wildlife you can discover like animal tracks, dragonflies, and catfish. Visit the tiniest Austin residents in the Small Wonders Exhibit to catch a glimpse of creepy, crawly snakes and Madagascar hissing cockroaches! Live Wildlife Exhibits feature more than 50 native Texas animals that can't be returned to the wild. All animals are native to the Central Texas region and are kept in natural enclosures. Stroll through the woods; listen to the calls of owls, hawks and ravens in our Birds of Prey exhibit. 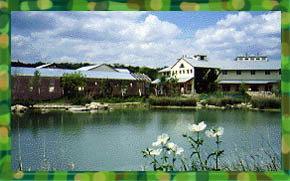 The Austin Nature and Science Center has a huge variety of camps during the summer for kids of all ages. There are adventure camps, tadpole camps (for younger kids), and a large range of specialty camps. If caving, underwater worlds, field biology, marine mysteries, or animal loving is an interest of yours, call the center today. 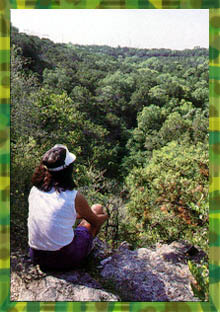 Adults of all ages have their own activities to choose from including Breakfast with the Birds and Barton Creek Greenbelt 101.